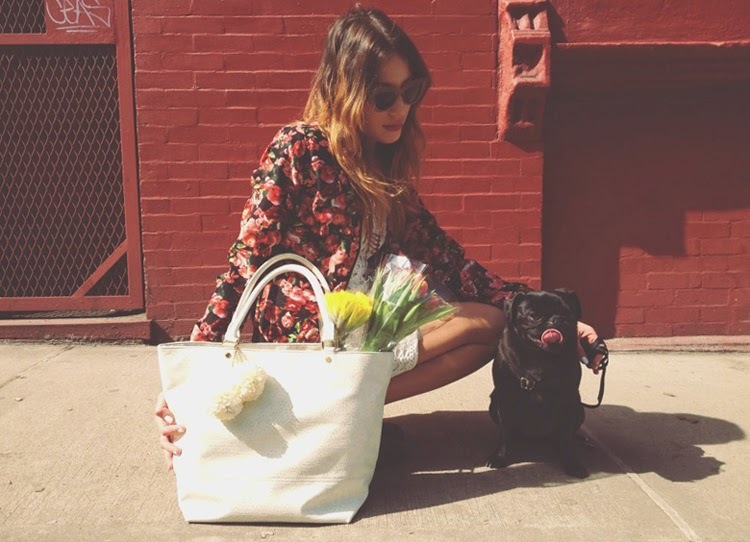 The Marcy Stop: Let's Do This, Spring! 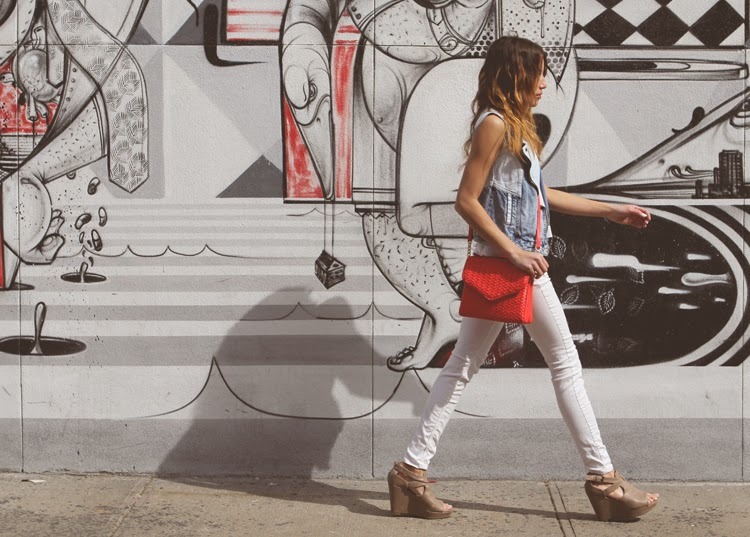 The Reformation Villa dress (last seen here), Deux Lux Karma clutch (sample). 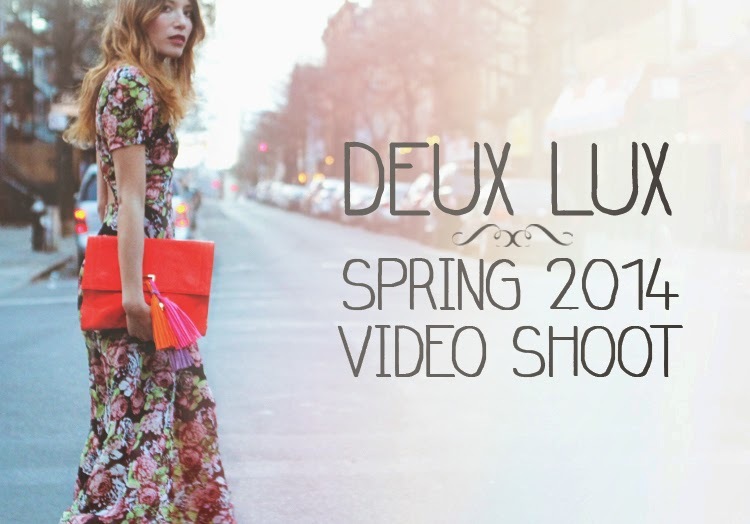 Click through to see the full video and behind the scenes pics from my shoot with Deux Lux handbags. Deux Lux 2014 Spring Collection preview from Tomas Delos Reyes. One of my favorite things about blogging is having the chance to work with up-and-coming brands on developing a variety of creative projects. Whether taking part in a photo shoot, a social media campaign, or an online video, it's so fulfilling to stand back and be able to see how your hard work and efforts paid off. 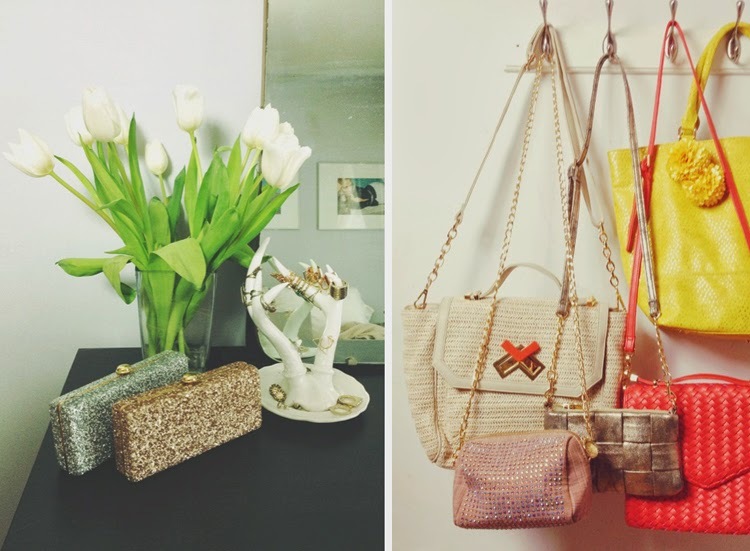 The above video concept for Deux Lux handbags was devised by my close friend Kara, a freelance PR professional who is always looking for ways to generate awesome content for her clients. She put asks out to me and her man Tomas (who you might remember from our past shoot together), and pretty soon we found ourselves shooting on the fly, using my apartment as a base and filming at various locations in my neighborhood (lucky for us, the weather complied). Even the music came through an organic connection: it's by Freedom Fry, an LA-based band (and couple) I'm friends with whose indy vibe seemed to go especially well with the colorful bags and Brooklyn settings. Would love to hear what you think of the results!